Do you love to write in a journal or blog in your free time? Are you the designated photographer in your family who happily snaps all the wedding and family reunion photos? Do you hang on to old coins, baseball cards, and everything in between? Although we usually consider these types of activities hobbies, we often undervalue their worth. To us, they’re just a fun way to pass the time or a necessary responsibility we’ve adopted and grown fond of. The truth is, many people are finding that their hobbies can actually be spun into lucrative second careers and are devoting more time to honing their crafts. Some people have become so successful that they’ve even grown huge businesses around them. Have you ever heard of a little company called Apple? Chances are you have. 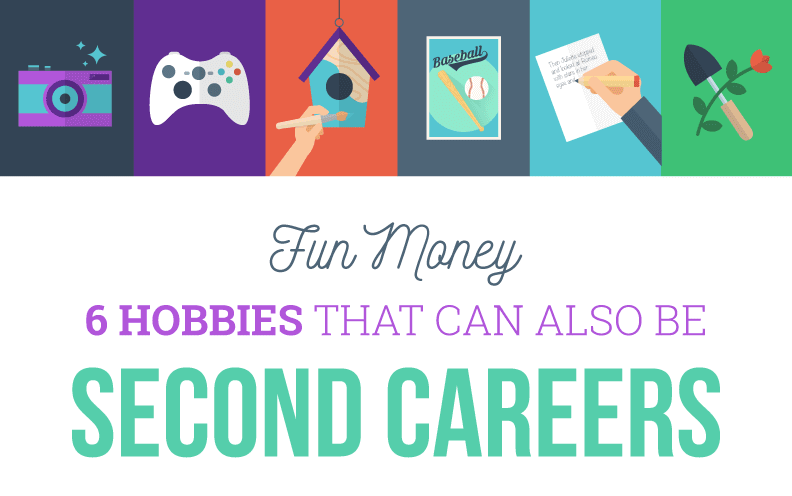 If you have a profitable hobby and are willing to devote both time and energy (and maybe even some resources) to turn it into a second career, your potential for earning can be limitless. Though many hobbies have value, the six highlighted below have especially good revenue potential.